When everything in your life goes wrong, when the whole world around you seems to be collapsing, don’t just stand and be a spectator. Take charge. Look for the chance to rebuild your world of dreams. Look for the opportunity to turn right all the wrongs. Don’t lose hope. 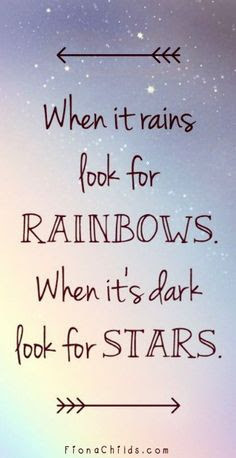 When it rains, look for the rainbows. When it’s dark, look for the stars.